As we all get older our priorities seem to shift, we strive to order our lives in the best way we know how. Allowing our children to have the opportunity to love the outdoors and it’s offerings has moved to the top of the list for us. We were able to get Bobby’s son Henry on the ice for the first time this past weekend and it was truly a special moment for both father and son. The day was set aside as a relaxed family day with most of our close friends. Fishing was low key as it was not the number one priority. We set up a few tip ups on a local inland lake, we cooked some food and just enjoyed each others company. 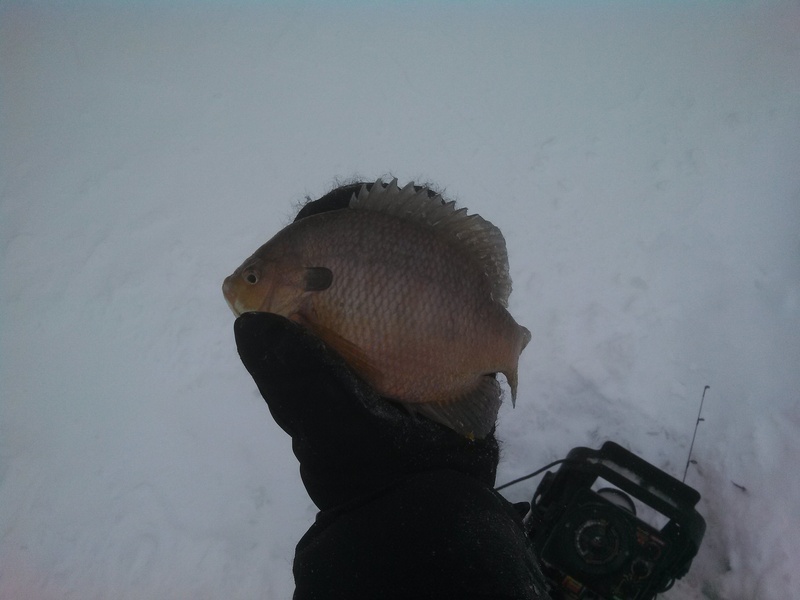 Henry made it longer than we expected, lasting an hour and a half on his first ice fishing adventure. The fishing techniques was simple, “grab the line a run Henry” seemed to bring a few fish out of the hole. The look of pure enjoyment on Henry’s face after the first fish came through the hole was enough to make this trip a success. It is so important to get our youth out of the house and experience the outdoors. Society is changing every day and our children have lost the experiences we were all so fond of growing up. If you get the chance please give a youth the chance to love the outdoors as we all do. They’re growing up fast with the use of technology, please try to put a Vexilar in front of them instead of them in front of an Xbox. 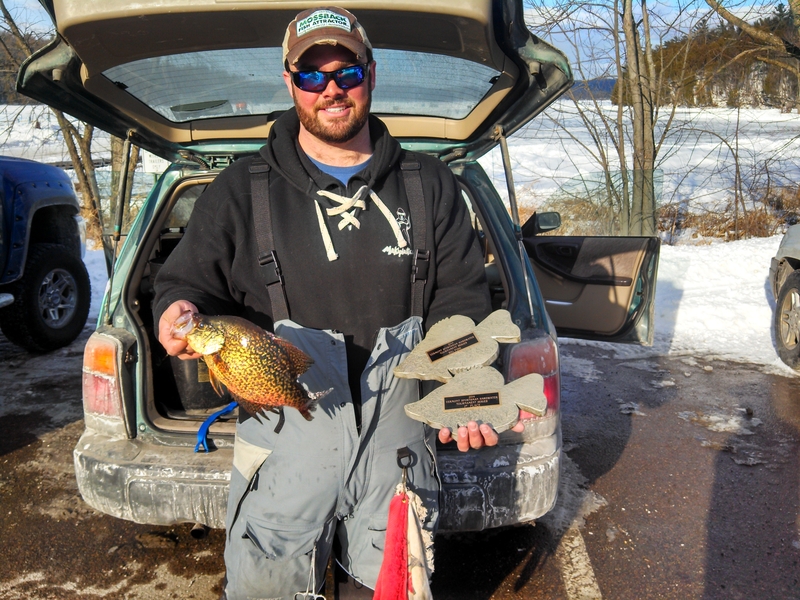 This past Saturday I made the trip down to fish the southern part of Lake Champlain. I decided this trip would be a good opportunity to continue working with the “Live” Baby Shad made by Lake Fork Trophy Lures. Our initial experiences with the “Live” Baby Shad were fantastic while fishing them under a bobber for spring time panfish. This outing would bring a new test. Now that it is a little later in the summer, the fish have moved from their shallow water spawning grounds out onto deeper structure. The target areas for the day were submerged pieces of structure in 10-16 feet of water. I hit the water a little after 7 am and quickly realized that there were multiple bass tournaments taking place. The lake was littered with boats in a hurry to race around to get their bags for the day. No worries. The first piece of structure which was located in 10 feet of water. The graph was showing fish but they seemed reluctant to bite. 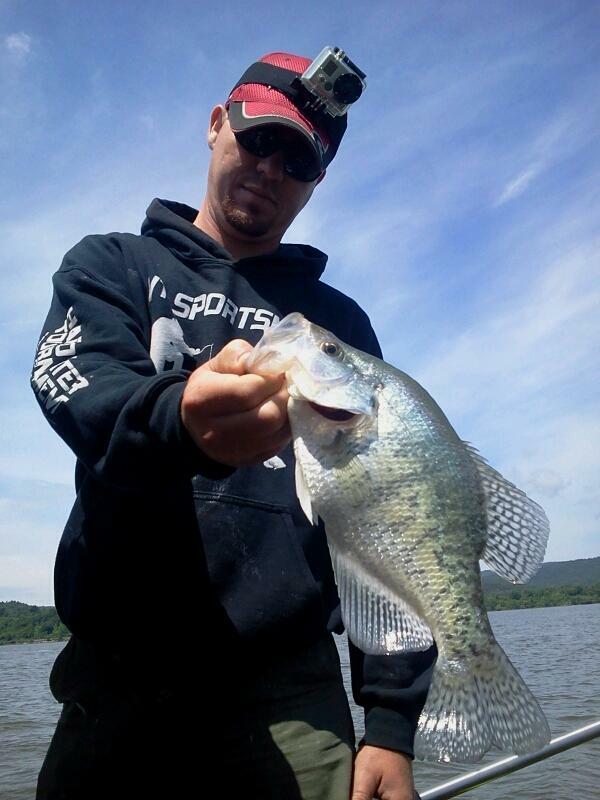 Thunder storms had rolled through the area a few hours earlier and stirred everything up, which I’m sure had something to do with the finicky feeding habits of this crappie. I managed a few fish on this spot vertical jigging off the side of the boat but the action was a little too slow. The second spot was located a short distance from out first but what a difference in fish activity. It was now a little later in the morning and the bite was turning on. 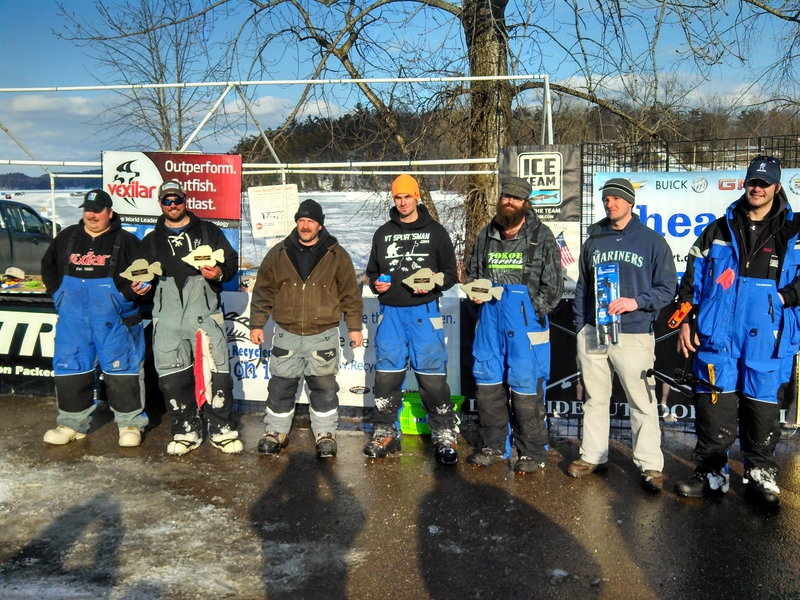 After marking the structure with the graph and setting out a few marking bobbers, it was time to fish . 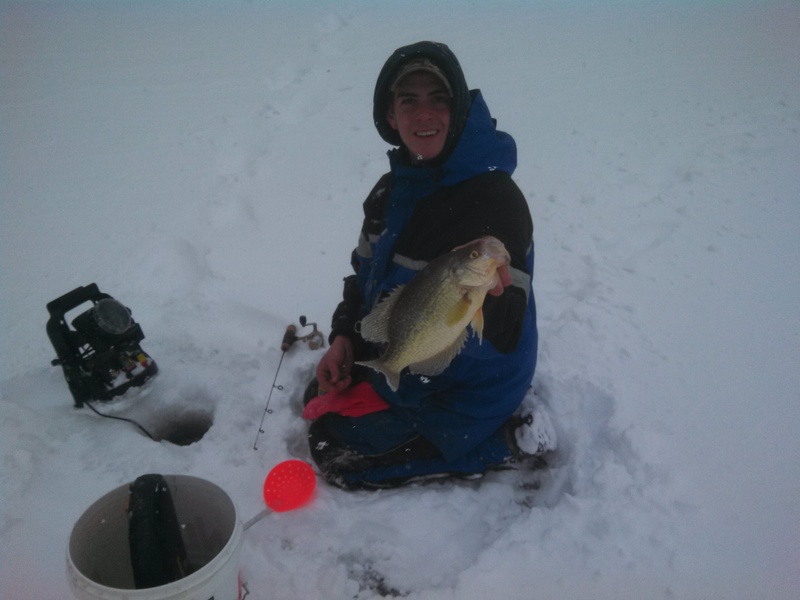 The fish were positioned right off to the sides of the structure in 11 feet of water. 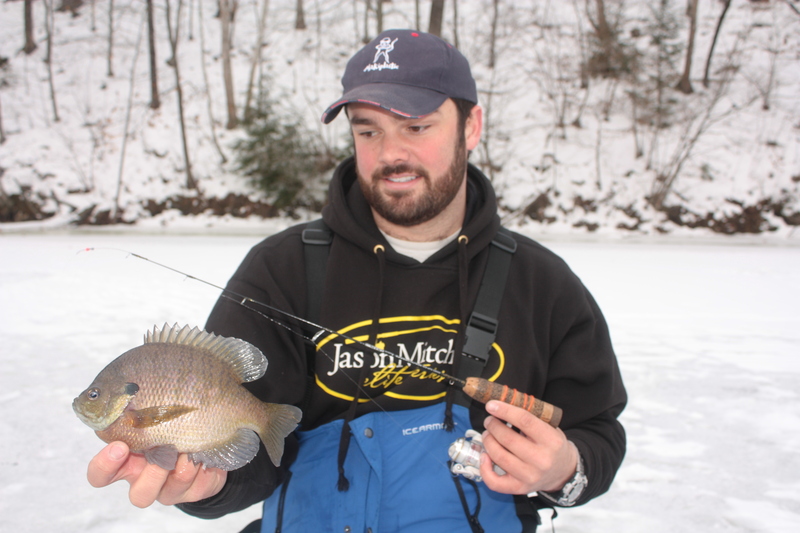 The fish were aggressive and the action was fast. The most productive technique was the “pendulum swing”. The idea behind this technique is to cast just past the structure and let it swing through the strike zone, hopefully keeping it away from the structure. The hot color of the day was the bluegrass pattern. This color is a combination of blue and green which worked well giving the bait a bright and dark color to contrast in the stained water. 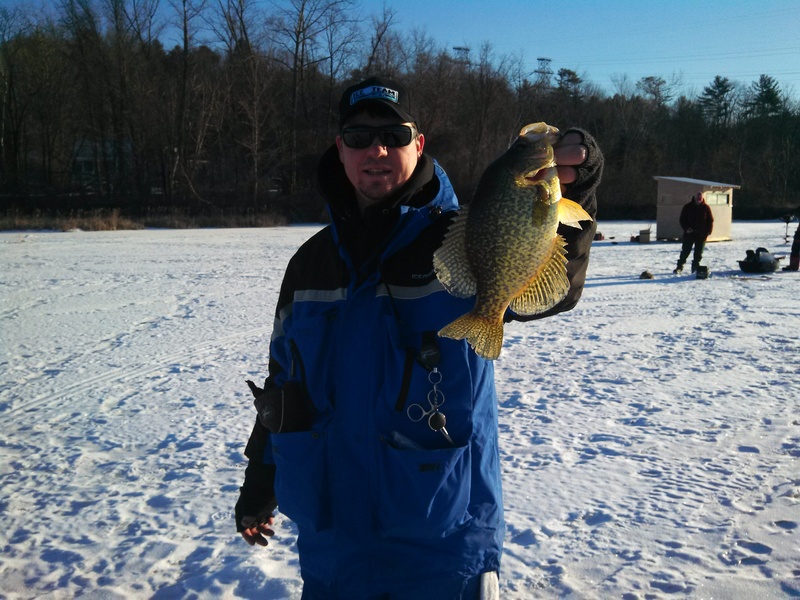 Check out the video on our YouTube Page of a few of the fish caught today. I kept some fish for dinner and made my way off the water. All in all is was a very productive day for the “Live” Baby Shad. It caught fish all day long with no hick-ups. I highly encourage you to try some of these baits. 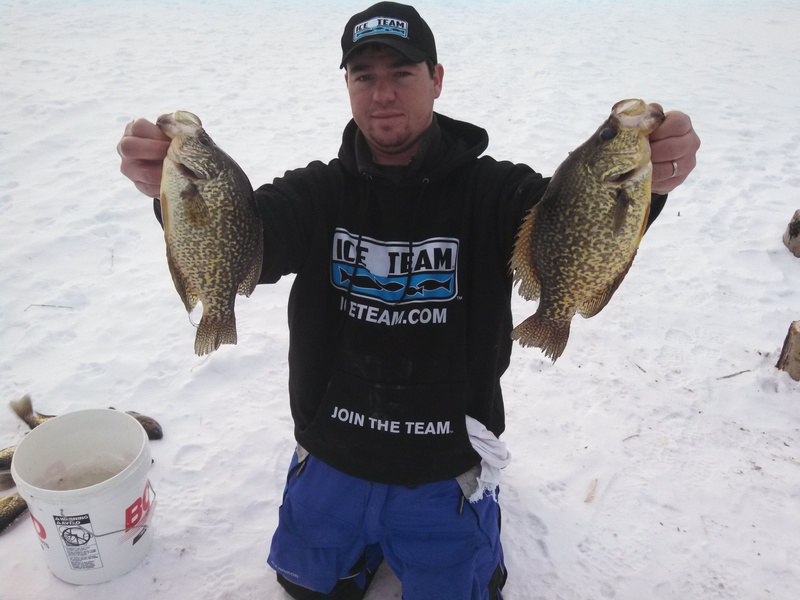 Check out our review on the Lake Fork Plastics. 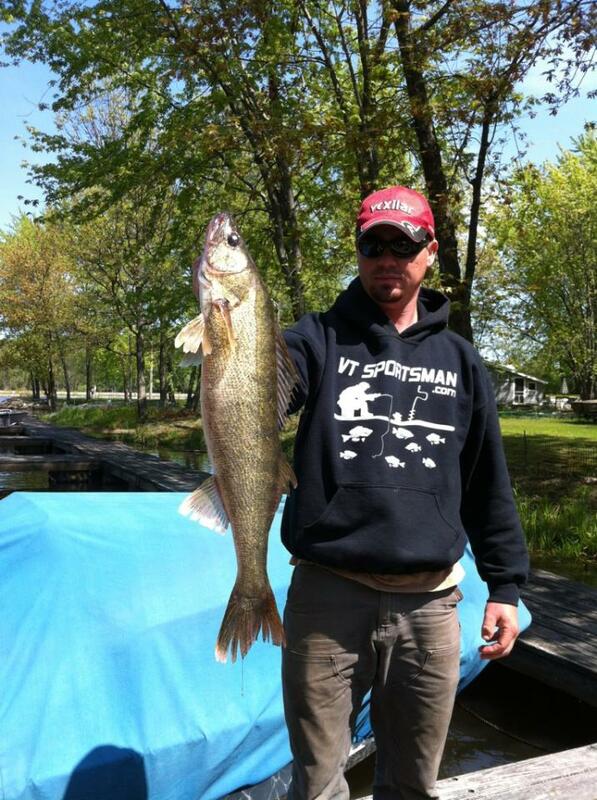 After 3 failed attempts to connect on a spring walleye on Lake Champlain I finally got a hook in one. I got on the water first thing in the morning with my guide for the day Scott Blair from VTSportsman. The reports had been decent from the days before so hopes were high. We unloaded the boat and headed out of the marina, the first spot was not far at all, just around the corner. We had decided to use the same technique that I had discussed before, 3/8oz jig tipped with a minnow. We also were prepared to drag crawlers if needed but “only if we had to”. I rigged up two rods, one with a jig and one ready to drag a crawler. It didn’t take too long to get a hit once I got them both in the water. The first rod to fire was the rod set up with a crawler. 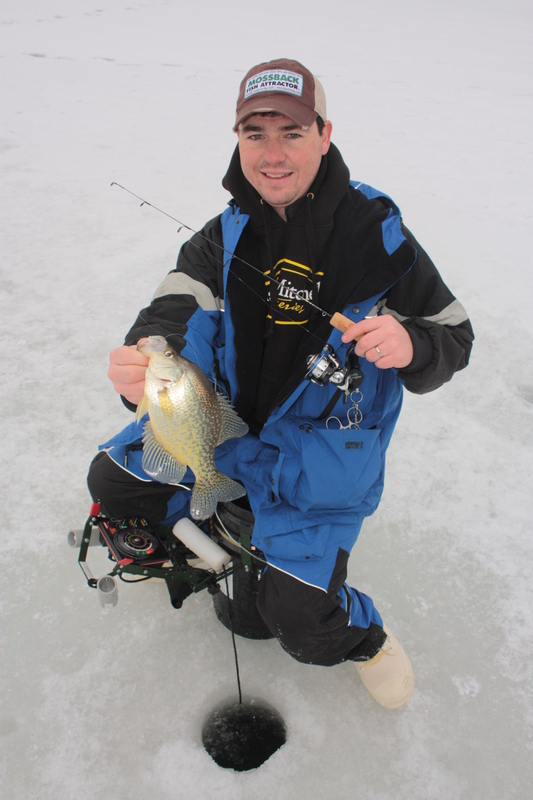 I had high hopes from the type of bite that were had landed right on a school of nice walleye but up came a decent 12″ white perch. Back in the water with him and back to jigging for me. 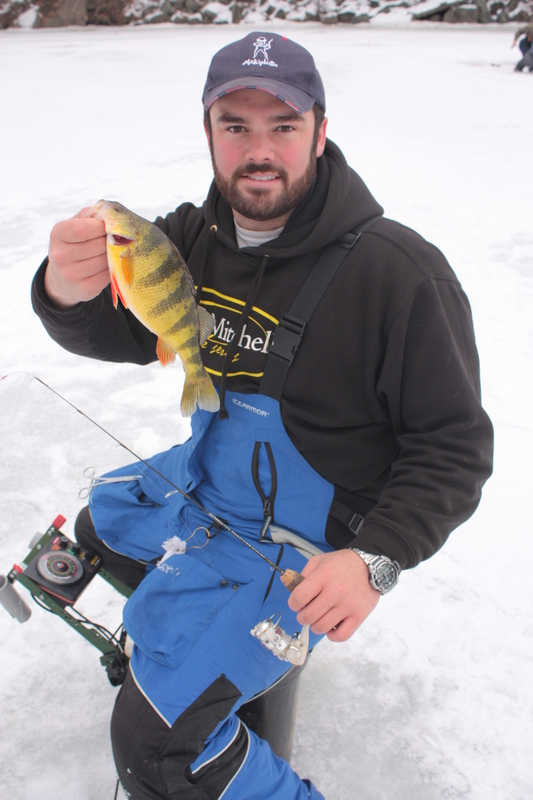 Shortly after that Scott hooked up with a healthy walleye, just under the 18″ length requirement of Lake Champlain. 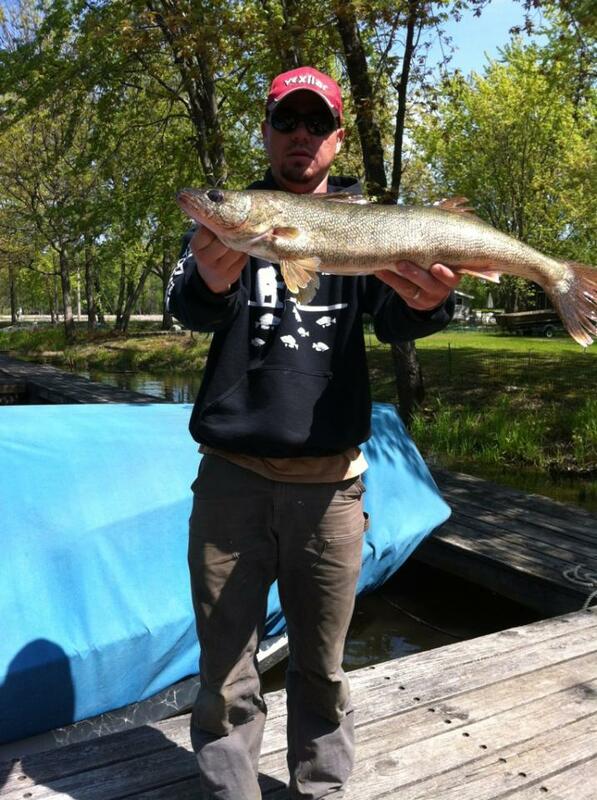 This was a good sign as walleye are schooling fish and where there is one there should be more! The bad sign was, it was a small male, close to the mouth. For the time of the year and the water temp this means that the spawn is just about over and the fish are on their way out of the river, we better hurry and get these fish before they leave the river for good. Another half hour of jigging with nothing to show for lead us to a new spot, well we thought we’d fish it but when we came around the corner there were about 15 boats drifting and dragging crawlers through the section of river that we wanted to jig. Most boats had stringers out so we knew that there were some fish close by. We kept right on going up river to another spot away from the crowd that has produced fish in the past. It didn’t take long upon arrival for me to hook into my first walleye of the season. I could tell by the bend in my rod that it was a decent fish. I find the fight of a walleye to be an interesting fight. 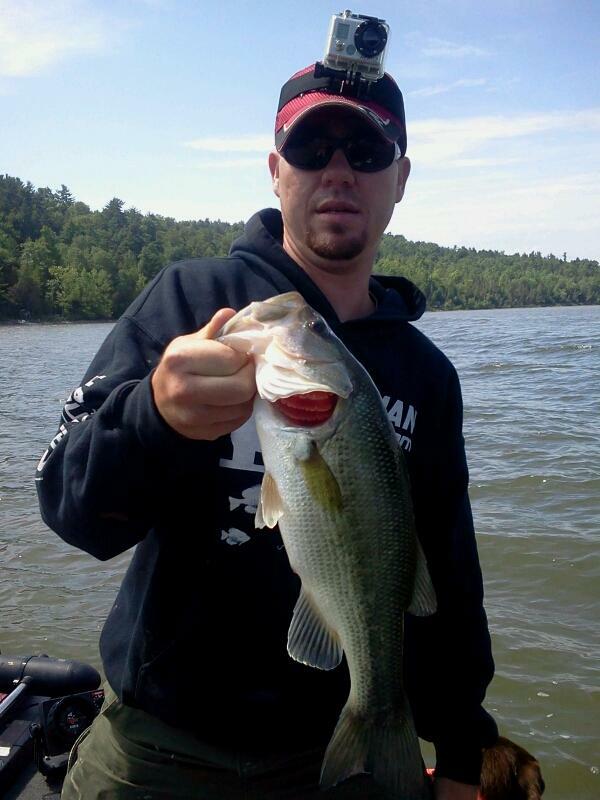 First of all you only about 6 feet of line out when jigging so the hook set is quick and the fish is right there! Keeping your drag set light is key, if you horse these bigger fish often times you’ll pull the jig right out of their mouth. I let the fish take some line and eventually Scott was able to get the fish into the net. 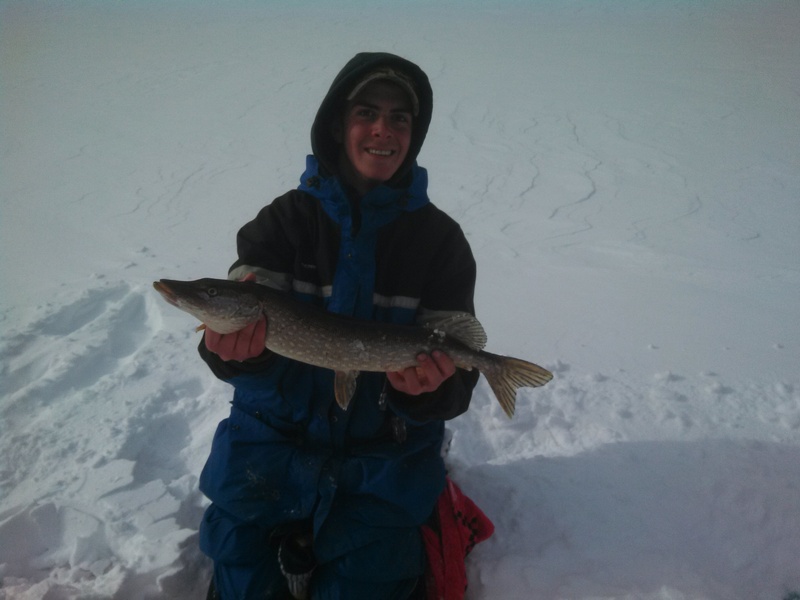 It was a respectable 26″ inch fish. The next hour or so brought Scott three more short fish but none that were keepers. We left the water at 11am with only one keeper in the boat but that was ok since I was finally able to get a hook in one. 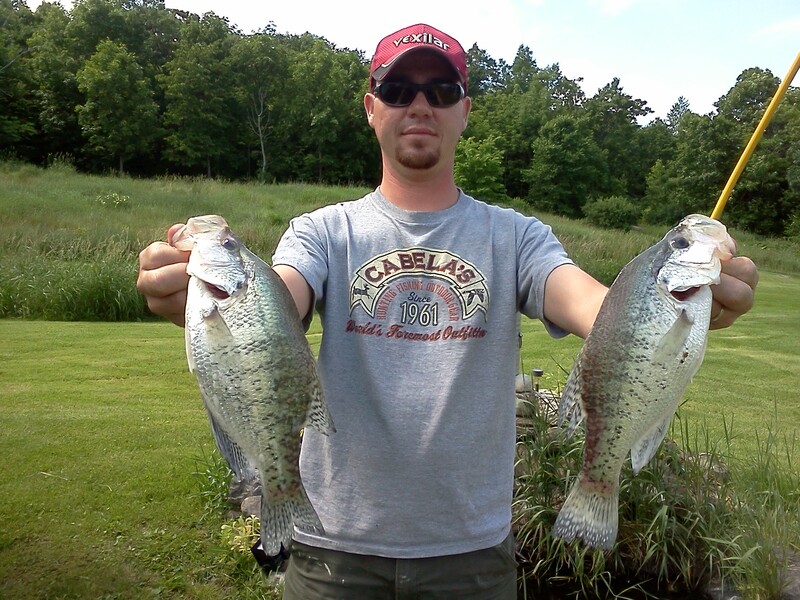 Walleye fishing is just about over for me for the summer, time to start chasing the crappies on structure. 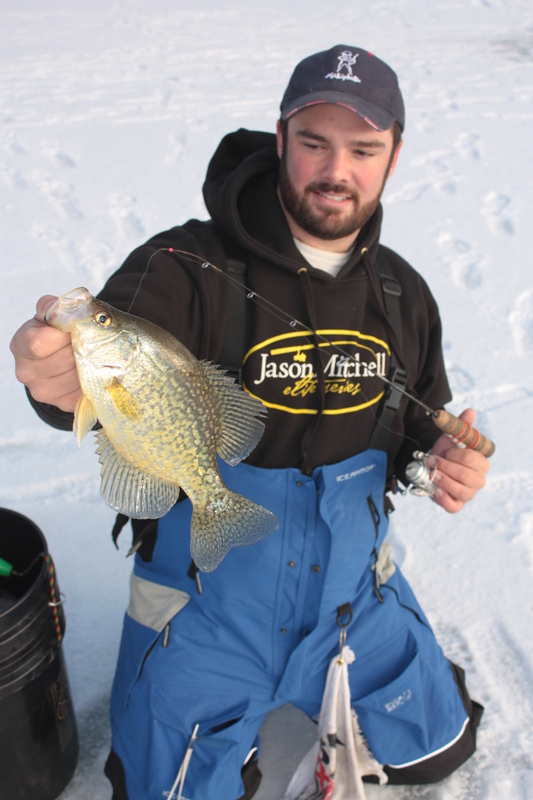 Stay tuned for more posts and some great tips on catching Vermont’s crappie in the summer off structure!